Frankie Manning, the ambassador of lindy hop, passed away on April 27, 2009 after a full and rich life of 94 years. This video was compiled for a memorial dance at the Jam Cellar in Washington DC. Frankie will be dearly missed, but his legacy lives on through lindy hoppers all around the world. Lindy Hop is the original swing dance and is considered by many to be the most exciting dance ever. It’s the grand daddy of them all. Without Lindy Hop there would be no Rock and Roll or Modern Jive. Lindy Hop was born in the late 1920’s. It evolved from earlier dances such as the Black Bottom, the Big Apple, the Grizzly Bear and grew directly out of the Charleston. It is a combination of formal European dance forms and the earthy rhythms and body posture from Africa. The Savoy Ballroom (the Home of Happy Feet) in Harlem, was the birthplace of the Lindy Hop. It had a block-long dance floor and a raised double bandstand. It was a place where race was irrelevant. If you walked into the Savoy, the only thing that mattered was could you dance? Social dance played an important role in Harlem life, for many it was a reprieve from the harsh economic realities of the time. It was a way for people to celebrate, to escape and to express their identity. The Savoy attracted the best dancers in New York, put on cabarets and special evenings. Competitions, such as dance marathons were popular. At a time of total social segregation blacks and whites not only shared the same dance hall but also danced together to bands of mixed colour. The music was vital to Lindy Hop, with Duke Ellington and Benny Goodman leading the way for Swing. Chick Webb led the resident Savoy Band with teenage Ella Fitzgerald as vocalist. Live bands helped the improvisation and musicality which are the life blood of Lindy Hop. Some dancers stood out and took the dance to new heights. “Shorty George” Snowden (only 5ft tall) together with his partner “Big Bea” was an innovator, but soon had competition from Frankie Manning who invented the first aerial in 1935. Frankie became lead choreographer of Whitey’s Lindy Hoppers, the troupe of the Savoy, performing all over the world including for the British King and Queen in the 2nd World War. Dean Collins took Lindy Hop to Hollywood and there is still the Hollywood style today. 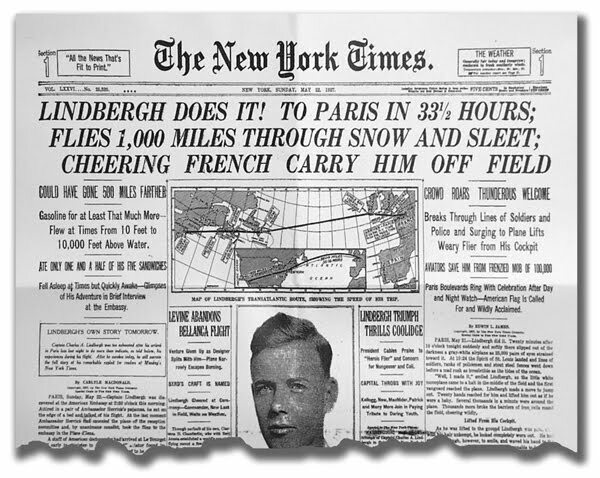 Many stories exist as to the name of the dance - One evening in the Savoy ballroom in 1927, following Lindbergh’s flight across the Atlantic, a newspaper reporter asked “Shorty George” what the dancers were doing, on the bench where they were sitting was a newspaper article about Lindbergh’s flight. The title read “Lindy Hops the Atlantic”, George saw this and said “Lindy Hop” and the name stuck. Lindy was also a slang word for a young woman in the early 1900’s. “Jitterbug” began as a slight insult as someone who had wild , exaggerated rhythm. In the mid 1930’s, a bouncy six beat variant was named the “Jitterbug” by the band leader Cab Calloway when he introduced a tune in 1934 entitled “Jitterbug”. During the war Lindy Hop was brought over to Europe by the American GI’s and helped to keep peoples’ spirits up. Glenn Miller, Benny Goodman, Count Basie, Woody Herman and many more brought Big Band music to everyone which still lives on to this day. Post-war, big bands became too expensive, dance floors became smaller and 3-5 players in Rock and Roll bands were popular. Jazz became more complex and meant to be listened to, Frankie Manning could not earn a living as a dancer and worked for the American Post Office for 30 years. 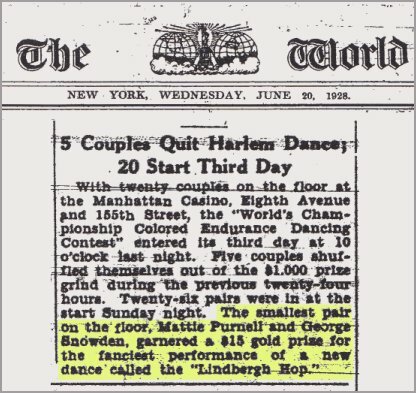 Other dancers carried on but the memory of Lindy Hop faded. The revival of Lindy Hop began in 3 countries in 1984 when Swedish troupe the Rhythm Hotshots, Warren Heyes in the UK (Jiving Lindy Hoppers) and Steven Mitchell and Erin Stenes, dancers from California separately started to seek out original Lindy Hoppers to show them how it was done. Frankie Manning and Norma Miller came out of retirement and toured all over the world teaching the Lindy Hop. Lindy Hop has come back to life. The BBC’s ’Strictly Dance Fever’ and similar programmes have popularised the dance and Swing Music once again. Frankie Manning still inspires Lindy Hoppers around the world! F 100: Hellzapoppin competition. The last tune was played at over 300bpm! Dawn Hampton & John Dokes: Connection. Musicality. Fun. 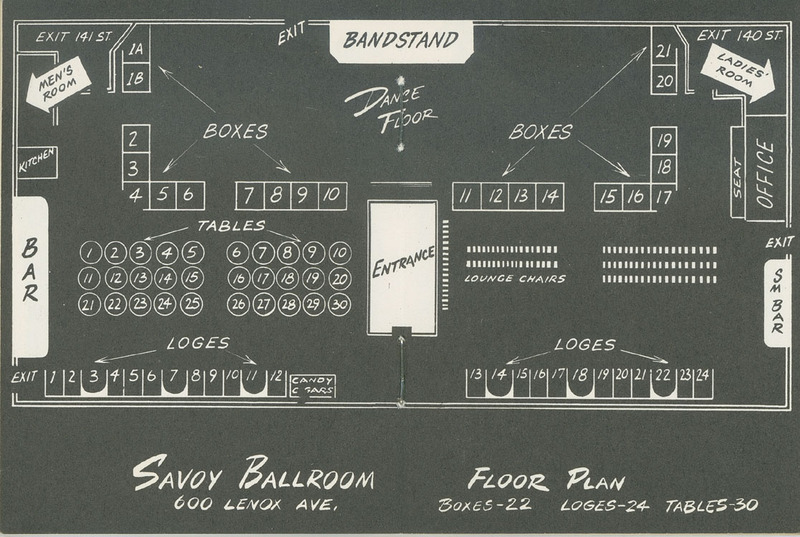 The Savoy Ballroom: From those who were there. The Spirit of the Savoy: More from those dancers who were there. Frankie Manning Dancing at the Savoy Late 1930's: Young Frankie social dancing in a suit. Whitey's Lindy Hoppers Radio City Revels 1938: Notable for being Frankie Manning's first swing-outs in a feature film. Gap Commercial - Khaki Swing from 1998 helped propel swing music back into the mainstream and publicized the swing revival of the late 90's.